New Holland has extended its six-pot T6 range at the lower end of the power scale with the T6.160 (135hp/165hp) Electro Command. Slotting between the existing four-pot T6.165 (135/165hp) and T6.175 (145/175hp), the newcomer sits below the recently-launched six-pot T6.180 Auto Command and Dynamic Command models. 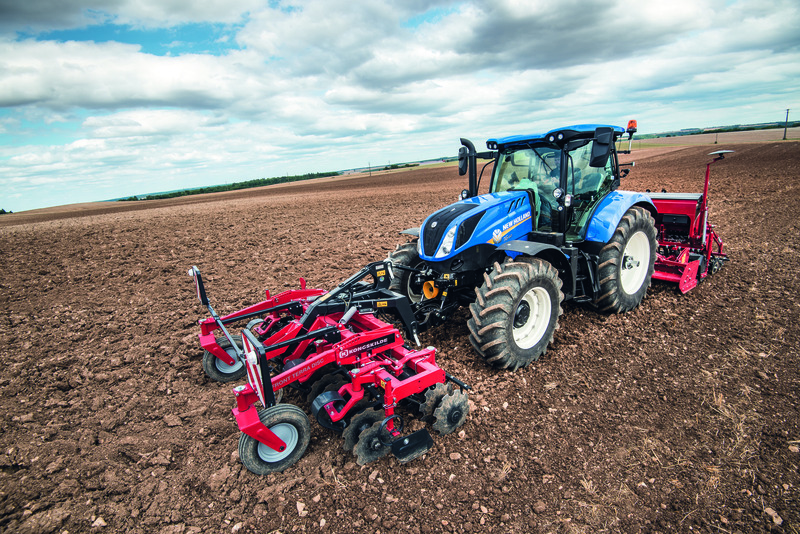 Powered by the same NEF 6.7 litre Stage IV engine as the T6.180 variants, New Holland reckons to be the only brand to offer a six-pot tractor in this segment (135hp/165hp). “The new six-cylinder model introduces a new level of performance into this segment with a highly versatile tractor that delivers more torque, more engine braking and more stability,” said Sean Lennon, head of the tractor product line. Also new is the second generation of the Ground Speed Management (GSM II) system for T6 Dynamic Command tractors. New features include an interface similar to the Auto Command CVT. Plus, T6 Auto Command and Dynamic Command IntelliTurn users now have the option to automate the start of the HTS II function. A new configuration is available that triggers the start of the function based on the distance from the headland or field boundary. The company says that the integration of these two functions automates end-of-row turns and implement function sequencing across the entire field. Finally, T6 Auto Command and Dynamic Command models are now offered with ISObus Class 3 capability, which enables the implement to communicate and control the tractor’s PTO, hitch, EHR control, steering, speed, and front hitch and PTO. A typical example is when the tractor is hitched to a New Holland round baler with IntelliBale. Not only can the baler stop the tractor when a bale is formed but can also eject the bale and close the tailgate. The driver is left to simply press the shuttle button to recommence baling.